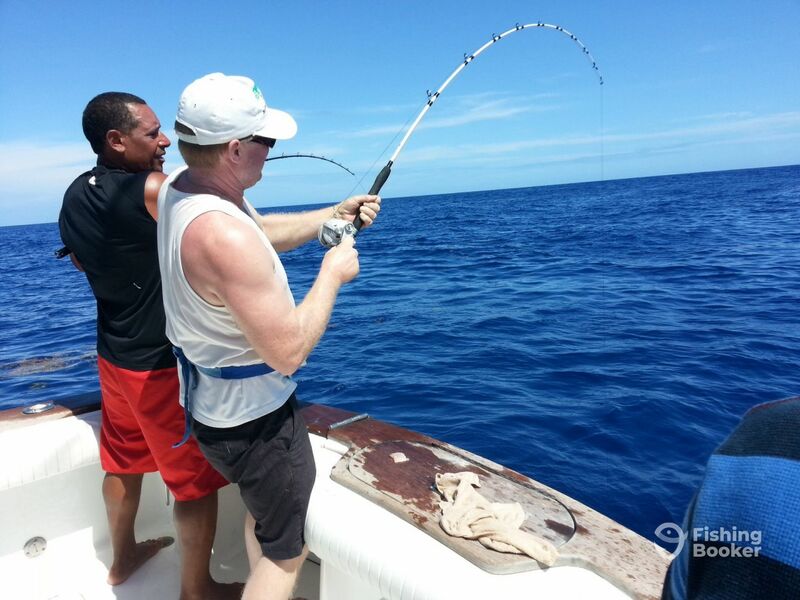 Exciting day 17 miles off the coast of Punta Cana, the bite was fantastic with mostly shark bite action, we also had several Red Hind Groupers and 1 black Jack cut in half by a shark . Mike and Rene from Winnipeg Canada had the thrill of there life as they never have hooked a shark and are looking forward to coming back next year. 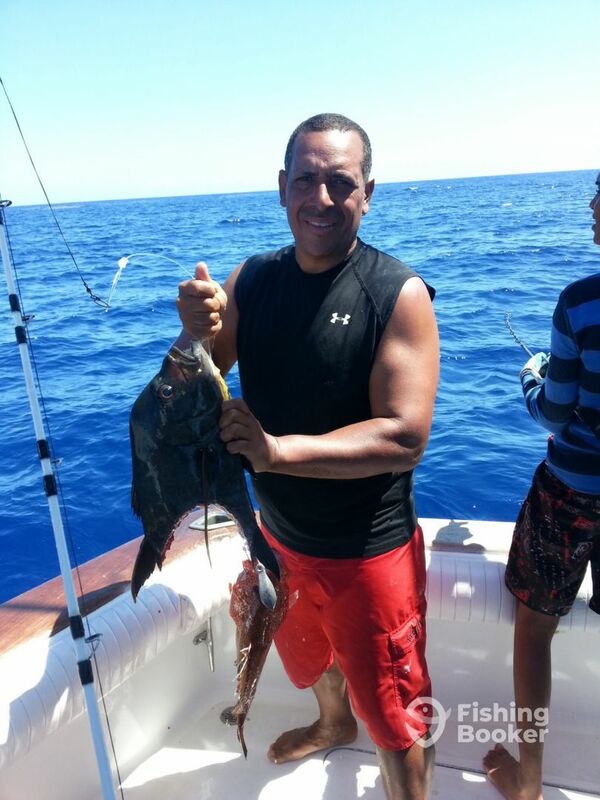 Captain Roger Burdiez heads the Agua Bendita team and has over 15 years' experience fishing the local waters. 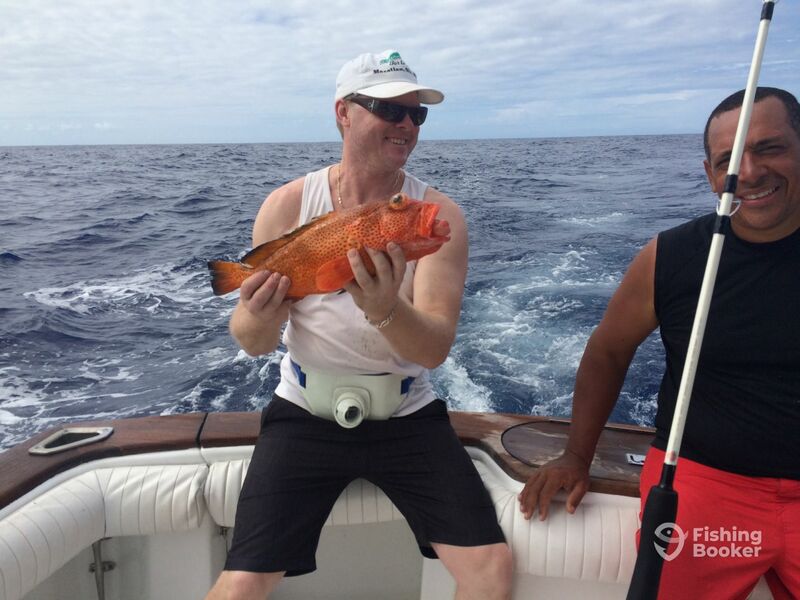 He can get you on the very best catches of whatever you choose to target, from big game pelagics like Mahi Mahi and Marlin to deep-water fish like Snapper and Grouper. Just let him know what you want to do and he and his crew will take care of the rest.